Do you believe everything you read and see? Have you ever disagreed with a story or viewpoint? At what point did you make that decision? Do you ever wonder if the media you read has an agenda or purpose? Who is the article aimed at? Is it balanced or does it prescribe to a particular viewpoint? How do you analyse media to make sure you get a more informed opinion? 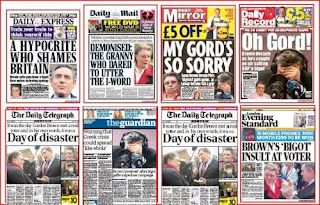 Have a look at this article which shows a variety of newspaper covers on the day of the Scottish referendum for independence. Are the covers of these newspapers balanced or unbalanced? 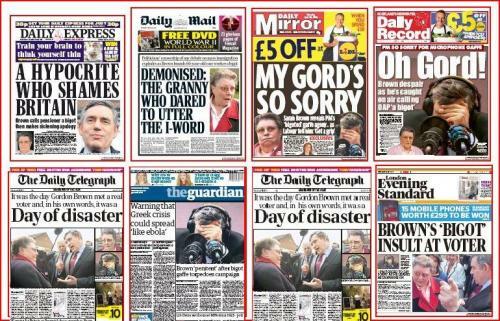 Is there an agenda or purpose to any of these newspaper covers? Look up 2 articles from the internet, magazine or newspaper of your choosing that are Irish based. Make sure they have an image to accompany the article and bring them into class. The audience and purpose of a text can affect how an article should be written. For example, how technical should an article be which is aimed at an audience who stereotypically are not that technological? Is there anything you should assume the audience knows or doesn't know about already? How should an article for business people be written? How should an article be written for parents or teenagers and young adults? To understand the purpose that an article was written, helps you analyse it better. You are also better informed to understand the agenda of the writer.The purpose of an article can help the tone, language and style of the writing. There has been a development in some publications for articles which are paid advertising (which is often stated in small writing in a corner of the page). The videoclip below from Portchester School gives examples from media texts regarding how to analyse the audience and purpose. Take a look at the video before carrying out the exercise in the discussion section. Pick 2 articles from the internet or newspaper that are Irish based. Write down how you think the articles appeal to a particular audience. 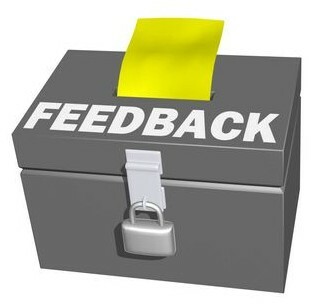 Comment on the following questions:Is the language persuasive, informative, entertaining or advice oriented? Is the article aimed at a wide audience or specific genders and age groups? If there is an image used in the article, how do you think this is used to appeal to a target audience? Is the article deliberately provocative? If so, why do you think this is? Is the wording of the headline mentioned often in the article? Do any facts or statistics back up the article's opinions? 2.Language Language can help shape the content of an article. How language sounds can influence the impact of the article. How emotions are conveyed can help encourage a reader's way of thinking. Sarcasm can encourage a manner of thinking by belittling an opposing thought through humour. Language can directly address a reader to involve the reader in the argument eg words like "you". Language also uses argument to connect the writing with the author's point of view. This use of language can lead the reader through the ideas of the article to keep them interested. The videoclip below from Portchester School gives examples from media texts regarding how to analyse language. Take a look at the video before carrying out the exercise in the discussion section. Pick 2 articles from the internet or newspaper that are Irish based. Write down how you think the articles use of language effects the reader. What is the purpose and effect of the language? Comment on the following questions:What do you think of the language used in the article? Who do you think the language is aimed at? How does the writer engage the reader? Do individual words, phrases or sentences impact upon the reader? Is the language used biased or unbiased? What observation can you make about the writers use of language? What is the tone of the writing like? Can you use a quote from the article to back up your thoughts? How is the article designed to make the reader feel? What is the effect of the language? A headline's job is to arouse your interest in the article. The headline should give a clue as to what it is about. It may be linked with a picture to deliver a greater impression on the reader. Reporters often use alliteration in their headlines to make the article sound catchier. The videoclip below from Portchester School gives examples from media texts regarding how to analyse headlines. Take a look at the video, then look at the example pictures below before carrying out the exercise in the discussion section. Look at the following headlines below and take into account some of the suggestions from the video above. Do you notice any alliteration? Are there any puns within the text? Does the headline have more than one meaning? Is the headline very dramatic compared to the article? Are there exclaimation marks at the end of the sentence? If so, what does this suggest to you? Are there any strange ideas in the headline? If so how would that interest you to want to read the article ? Is there strong opinion within the headline? Why do you think this is so? Is there any slogans used? Is there any name dropping in the headline to spice up the article? Are there any rhetorical questions within the headline (questions that don't need an answer)? Do any of the headlines suggest they are speaking for you? (do they use language like "our" or "they"). Why do you think this is so? Is there a problem highlighted in the headline? How would that effect the reader? Is the headline simple or factual? How does the headline combine with the message in the image used (if there is one)? Are there any metaphors used? Is there any rhyming of words used? Is the location mentioned in the headline? How could this be important for the reader? 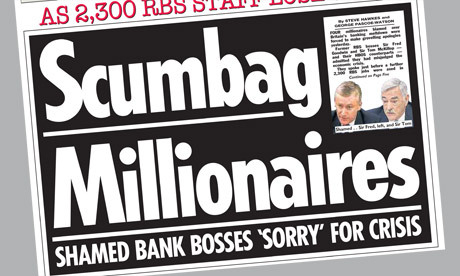 What is the message behind the headline? 4.Analysing ImagesThe job of an image is to interest the reader to view the article it is about. What aspects of an image or diagram should you be looking at when analysing media texts? What makes the choice of picture linked to an article effective or interesting? Does the image add emotion or humour? The videoclip below from Portchester School gives examples from media texts regarding how to analyse images. Take a look at the video before carrying out the exercise in the discussion section. How is the text and layout used in the image? What does the image suggest? How is the image linked to the article? What emotions is the image trying to convey to the reader? Is the image positive or negative? What kind of people are in the image? What is their bodylanguage and appearance like? How is colour used in the image? What mood does the image convey? Can you tell the difference between fact and opinion? A fact is a real event which can be proven by evidence. Opinions are somebody's beliefs or thoughts. Opinions may not be able to be backed up by evidence. How a sentence is phrased can determine if it is a fact or not. Be aware of words like "believe" or "may" compared to words like "is", "was", "were", "proves". Think about how these words convey certainty or uncertainty. Opinion can be biased and sarcastic and the choice of words used will often convey degrees of uncertainty eg "might", "believe" or "think". To identify facts, look for words which convey certainty and for opinion look for words which convey uncertainty. The videoclip below from Portchester School gives examples from media texts regarding how to identify fact and opinion. Take a look at the video, then look at the example pictures below before carrying out the exercise in the discussion section. What language used communicates facts? Is the whole article factual or is there some opinion? How does the language change if there is? What was difficult in this task? Is there anything else that could have been included in the topic to make it easier for you to understand? Was the topic explained well or not? Are there any video links from Youtube that may also be useful?